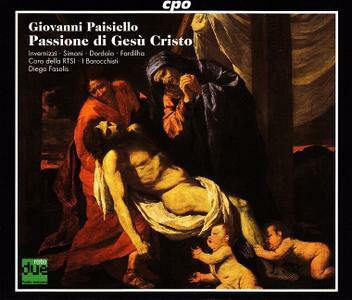 Giovanni Paisiello, whose works Mozart thought enough of to study closely, was mostly forgotten in the nineteenth century, and this Passione de Gesù Cristo remained buried until 1998. 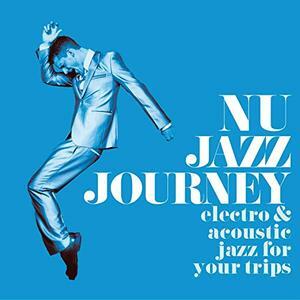 This is its second recording; a Polish version on the Arts label, from that year, is also available. The oratorio's text is by the preeminent operatic librettist of the eighteenth century, Pietro Metastasio. One can easily understand why the work has never had a critical mass of general listeners, but for those interested in Mozart's world it's truly fascinating. This passion story features neither Jesus nor Pontius Pilate, nor any of the other usual personages. Instead it takes place after Christ's crucifixion, recounted by St. John, Joseph of Arimatea, and Mary Magdalene (in surely her biggest part until Jesus Christ Superstar came along) to St. Peter, with the accompaniment of a chorus of Christ's other followers; in the second part, all bewail the corruption of Jerusalem and look forward to Christ's resurrection. 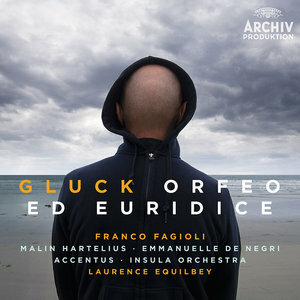 This is a full recording of the original Italian version (the “Vienna version” from 1762) of Gluck’s beloved take on the Orpheus myth, Orfeo et Euridice PLUS extra music written by Gluck for later performances of his opera. It includes virtuoso arias for Fagioli and as such represents a brilliant showcase for him and a collectible item for connoisseurs. This is Franco Fagioli’s first ever recording of a complete opera in which he sings the title role and since, the role has become one of Franco’s calling cards in recent seasons. 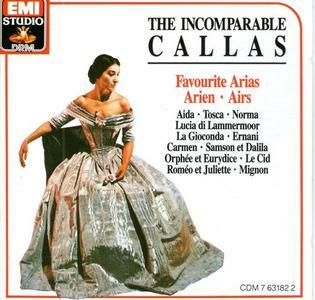 It is known for its absolutely gorgeous music, including one of opera’s most audience-pleasing tunes, the uber-famous aria “Che farò senza Euridice”. 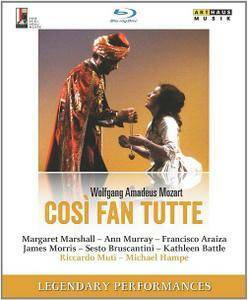 This version of the opera (by far the most popular one) appears for the first time ever on period instruments on DG / Archiv, hence filling a major gap in our catalogue and is a substantial project featuring one of our exciting new signings in one of his finest roles. The revival of that most original and fascinating Baroque composer Alessandro Stradella on Brilliant Classics continues with the issue of his substantial Oratorio La Susanna. The story is based on an apocryph bible book, and tells about the virtuous and beautiful Susanna who is wrongly accused of adultery, but is ultimately saved from her execution by the prophet Daniel. This juicy story inspired Stradella to composing dramatic and effectful arias and (instrumental) ensembles, full of burning emotions. 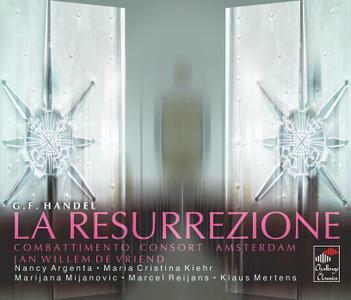 La resurrezione was Handel’s second oratorio and dates from his years in Italy between 1706 and 1710. While in Rome, he enjoyed the patronage of several wealthy noblemen; one of them was the Marquis Ruspoli who commissioned La resurrezione, first performed at his residence on Easter Day 1708. The piece is an interesting one, full of dramatically effective scenes in which Handel treats his characters – Christ himself does not appear – with that humanity which was later to become such a distinctive and satisfying feature of his operas and English oratorios. Conductor Marc Minkowski has frequently proved himself a persuasive and sympathetic Handelian and, in this new, vividly projected recording, gives us a vital impression of a particularly fine sample of Handel’s youth. 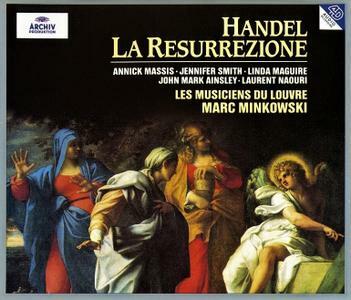 Händel’s La Resurrezione is an oratorio for Easter. It was first performed on Easter Sunday 1708 in Rome. The libretto was written by Carlo Sigismondo Capece. The events related in the story are those of the period between the Crucifixion and the Resurrection, when Christ ‘descended into Hell’ to redeem the souls of the patriarchs and prophets who had prepared for His coming. The events in the underworld are set out in series of lively exchanges between an Angel and Lucifer. Meanwhile, the story as seen on earth is related through the conversations of three mortal characters, Mary Magdalene, Mary Cleophas and St John the Evangelist. The two planes of the drama are united when the Angel appears to the women at the sepulchre and announces the Resurrection to them. 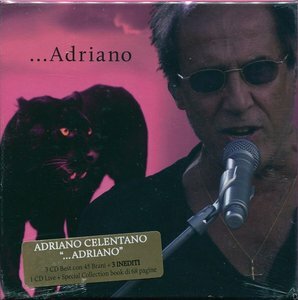 3 CDs with 45 songs in the extraordinary career of Adriano and 3 unpublished, written by Riccardo Cocciante and Pasquale Panella (Mai nella vita), Giuliano Sangiorgi (Io non ricordo (da quel giorno tu)) and Adriano Celentano itself (Ti fai del male). 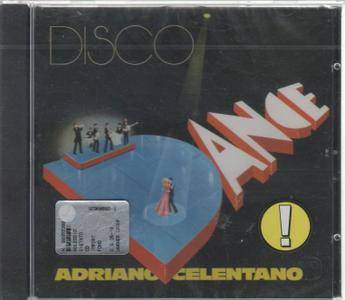 We find also fourth CD taken from two high profile concerts at the Arena in Verona last October, 18 years after his last live performance, which triggered the enthusiasm of the fans with record audiences for broadcast television, getting 20 million viewers for the two evenings. 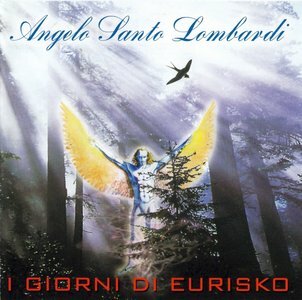 Self producted debut album as Angelo Santo Lombardi (actually known as Gan Eden - Il Giardino delle Delizie). "Gan Eden" (Hebrew word for "Garden of Eden", "Il Giardino delle Delizie" in italian language) is a new studio project put together by keyboardist Angelo Santo Lombardi with other musicians helping out to give the record a true band sound. Classic 1970s style Italian progressive rock is what they wanted to create. A fantastic new italian project, in the tradition of the best italian symphonic prog of the Seventies (ref: Banco Del Mutuo Soccorso , PFM, Le Orme), this band follows the footsteps of "Torre dell'Alchimista" and "La Maschera di Cera". Il Giardino delle Delizie will become a future classic. As music-lovers we can only be grateful when interesting recordings which probably are no longer available are reissued. It is a quite remarkable work, for historical, textual and musical reasons. 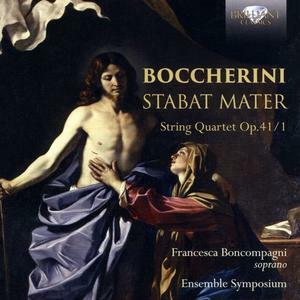 First, historically it is notable that this oratorio was part of a series of eight oratorios which were performed during Lent 1708 at the palace of Cardinal Ottoboni in Rome. 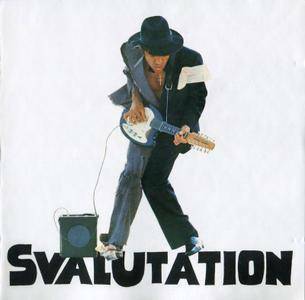 The performance is such that this reissue is welcome. The three soloists bring good interpretations, albeit a bit too restrained.